Visa Europe and leading Spanish bank CaixaBank along with mobile network operators Orange, Telefόnica and Vodafone, have announced the launch of Europe’s largest commercial mobile contactless payments service. 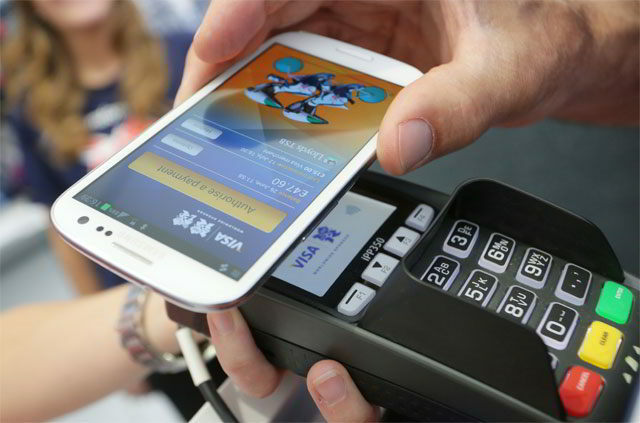 From February 2014 CaixaBank customers will be able to make contactless payments quickly and safely using their contactless-enabled smartphones. The partnership with Orange, Telefόnica and Vodafone enables the card details of customers who register for the CaixaBank mobile payments service to be encrypted and securely stored on a contactless-enabled SIM card. These customers will then be able to use the CaixaBank mobile banking application to easily manage their money and make contactless payments globally anywhere they see the Visa contactless symbol. With Orange, Telefόnica and Vodafone’s combined customer base accounting for more than 80 per cent of the Spanish market, the service will be available to an extensive number of consumers from the outset. CaixaBank customers will be able to make mobile contactless payments at any of the 325,000 Visa contactless-enabled terminals across Spain* or the 1.2 million Visa contactless-enabled terminals across Europe*. Spain is one of Europe’s leading markets for contactless technology with over 15 million Visa contactless payments made in the past 12 months*, and a strong history of payments innovation. 2010 saw CaixaBank launch Europe’s first real-world mobile payments pilot in the Spanish town of Sitges, and in subsequent years roll out contactless cards (2011), the CaixaWallet application (2012), and a sticker-based mobile payments service, TAP Visa (2013). The CaixaBank mobile payments service will launch in January 2014 with selected customers of Orange, Telefόnica and Vodafone who frequently make contactless card payments with their Visa cards today. The service is expected to be fully rolled out by February 2014.